I was recently approached by another local author and asked if I’d like to take part in their annual anthology. Those of you who have read my works know that I am NOT a short story writer. (Look at the prologue of Whispers if you want verification of that statement.) But I had a couple of short stories sitting on my hard drive that weren’t currently doing anything. In all honesty, one was the intro for another story that…well, the story fell apart shortly after the intro. I decided to go back, add an ‘alternate universe’ ending and let it sit in case I ever decided to publish my own book of short stories. I always wanted one just so I could call it, ‘My Dirty Shorts’. Even thought they aren’t dirty or erotica in nature and no, my underwear are indeed, clean. The other story was one that I had submitted for a charity anthology. Stephen Bagley looked it over, tweaked it a bit to improve upon it and viola! Another short story to add to the collection. 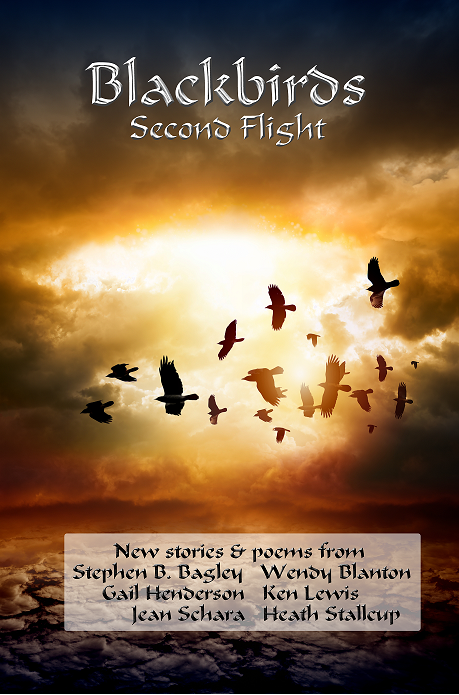 This is actually the second Blackbirds anthology, as you can tell by the title…and no, I wasn’t part of the first one. I’m pretty proud to have been asked to join this select group of authors. Although I don’t know them all personally, I can attest to there being some pretty darn good stories in this collection. Previous versions of BBA were all dead tree versions, but after discussing it, I think Stephen has realized that having a Kindle version (and iBook, and Nook and…you get the picture) is the easiest way to get the anthology in front of more people. Many people would much rather drop a few bucks for a downloadable e-version than to pay the higher price for a physical copy. And for avid readers, there’s much less clutter by utilizing an e-reader. Plus, by making it available to more readers, the more new fans we can potentially reach. So, the e-version should be coming in short order. I guess you could consider this another ***SAPS*** Alert. Another Shameless Attempt at Promoting Something. But it very well should be promoted. This is a nifty collection of stories that I think you’ll all enjoy.